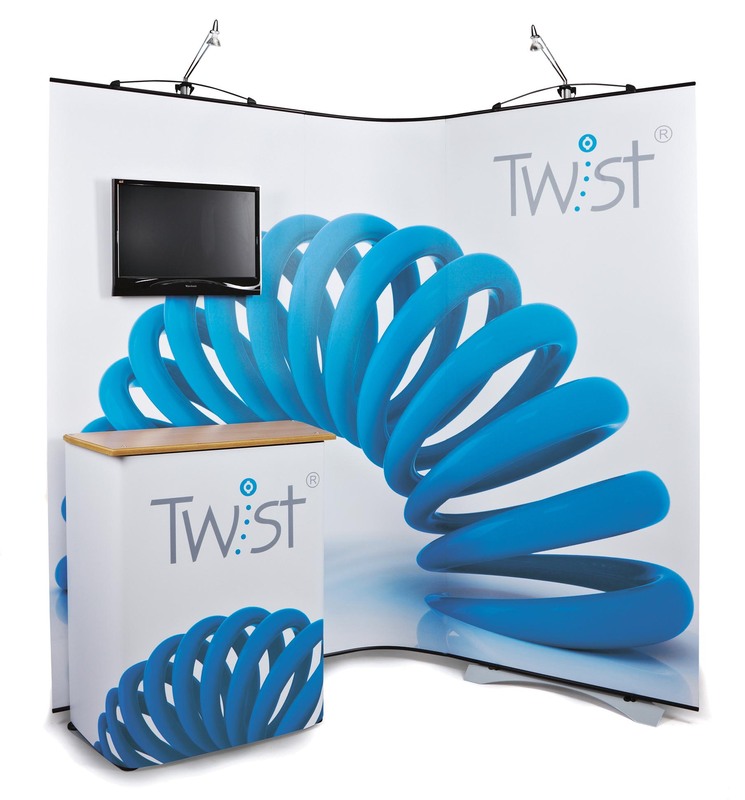 The Twist Counter can be used free standing or in conjunction with the Twist Banner or Media stands. It has been designed to take a graphic wrap and has a maximum loading limit of 40kg. 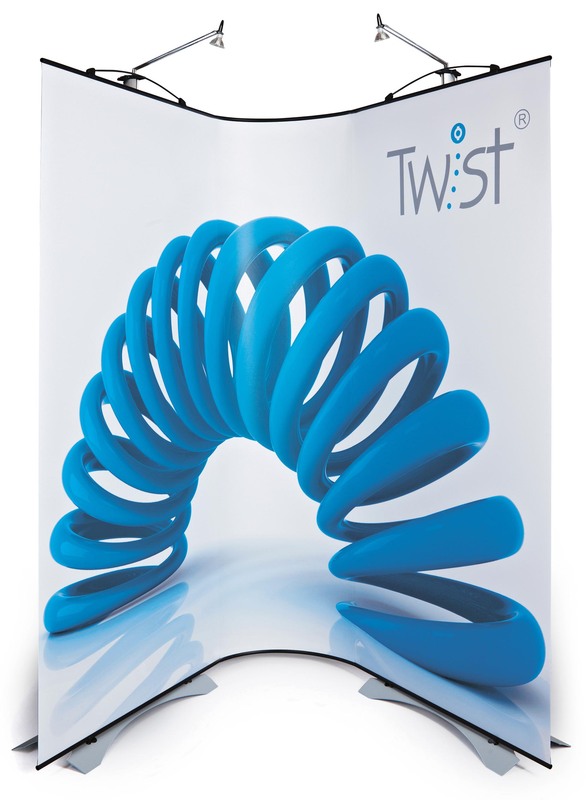 Its simplistic user-friendly construction complements the Twist display range as it utilises the same aluminium profile. 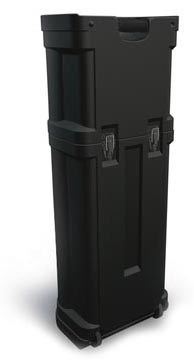 The counter can be transported and packed in a hard case, which includes a graphic tube. Black, white or ​standard silver base plates are available.